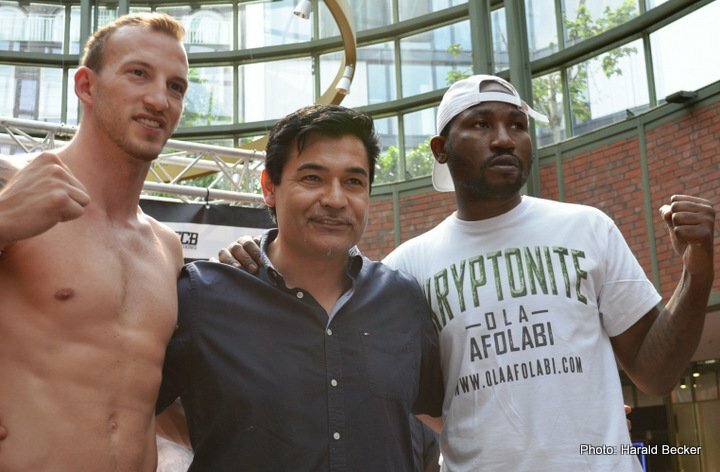 Former IBO World Cruiserweight Champion Ola Afolabi doesn’t seem to take his upcoming fight against self-made millionaire Mario Daser too seriously. 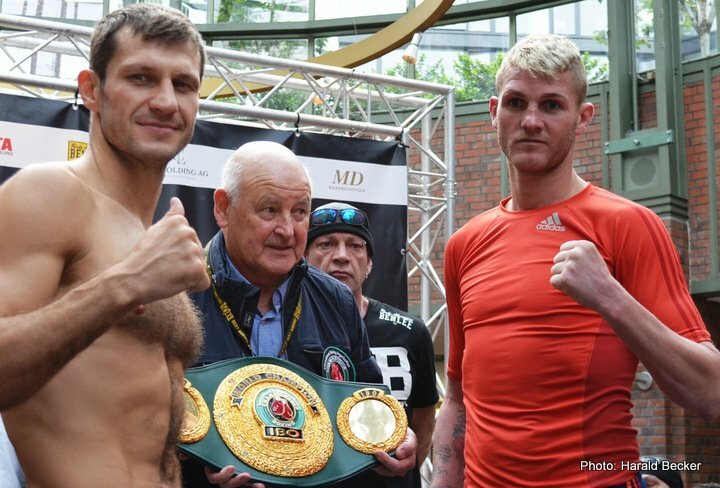 At the official weigh-in the 37-year-old Brit who lives in Hollywood, California, touched the scale at 92.5 kg (204 lbs.) way over the cruiserweight limit. To save his chance to win the WBO European and IBO International Championship, Afolabi was given three hours to lose the extra pounds. In the end, his official weight was confirmed just inside the limit at 90.7 kg (200 lbs.). 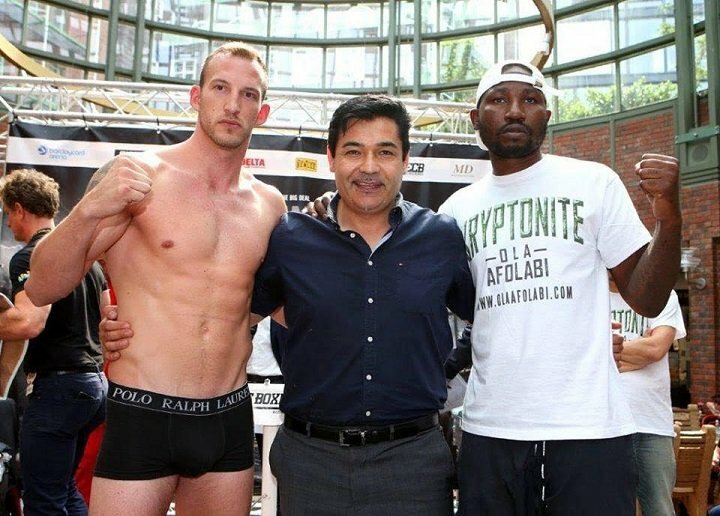 Afolabi’s opponent Mario Daser didn’t have any problems making weight in the first place. The self-made millionaire weighed in at 89.7 kg (197.75 lbs.). All other fighters on the card made their weight. 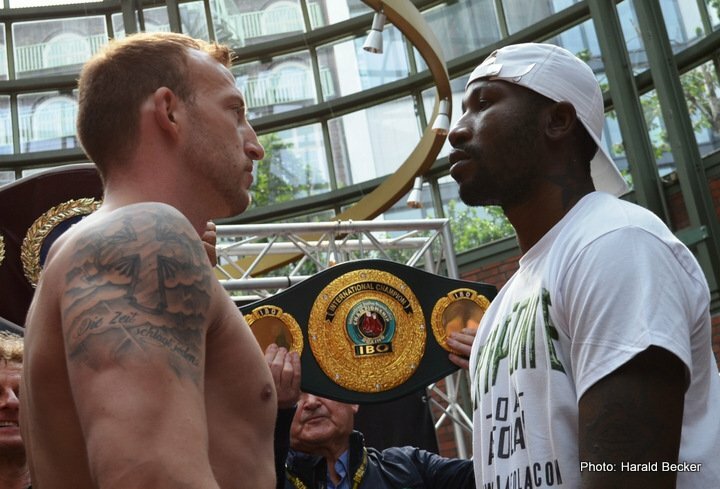 Daser vs. Afolabi is the main event of a seven-bout card promoter by EC Boxing which also features top rated heavyweight contender Christian Hammer and the IBO World Lightheavyweight Championship between former European Champion Igor Mikhalkin and unbeaten Thomas Oosthuizen from South Africa. Previous boxing news: Crawford-Diaz, Stevenson & Beltran quotes for Sat.